one city operation just around the Orlando area back in the 50s-60s. 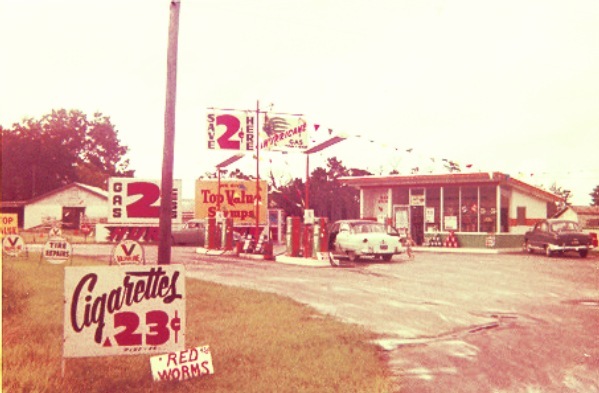 This one was in Orlando and the picture was taken in 1960.
had much more than 10 stations, but they were pretty common around the Orlando area. in those colors. The signs were painted board I think, but could have been metal. Locally made I am sure, one with the brand name and the other with the price or "2¢ Less". didn't have maps, globes or oil cans!! !